Here is one of the milk shakes I usually prepare during weekends. I call it super healthy because it contains many ingredients that are so healthy, protein rich and gives instant energy. Filter to remove excess pulp and pour into individual glasses. This drink is so energetic and refreshing and super healthy. This is my contribution to dear Sangeeth’s “Eat Healthy – Protein Rich” event. Uma,wow..that shake sounds so refreshing! !Adding broccoli and cauliflower is something new to me! !good job! !and great entry for sangeeth's event! !why don't you send it to health foods event by Mansi too? My my i don't think there is another name for this than SUPER HELTHY. It is indeed a healthy shake, with all those veggies. I've never tried adding veggies to a milkshake - awesome! Hi uma, adding veggies in milkshake is so unique and creative. I will try it very soon. And I thought I was healthy. This really takes health to a whole new level. Pretty unique concept. Indeed a super healthy shake Uma!! I must try this..Looks so filling also..Great entry ..
WOW very interesting shake, very healthy and delicious too!!! 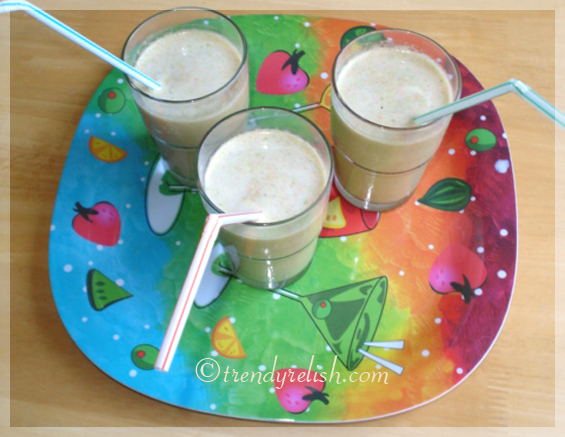 It is so healthy..a shake with vegetables.got to try this. Absolutely interesting.All nutritious ingredients combined into a shake,Worth trying. It does sound very healthy! How does it taste though? That sounds very unique and healthy! Can't wait to try now.. Thanks for sharing Uma! 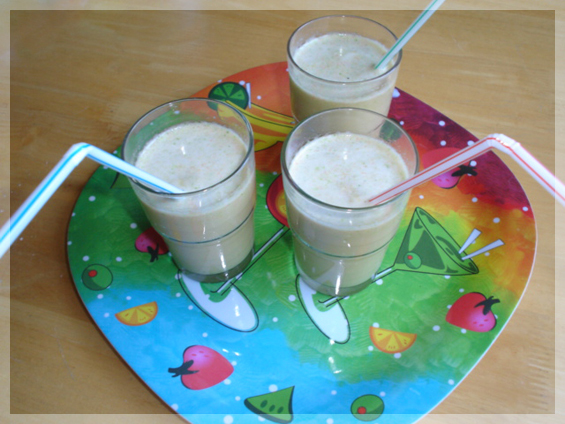 Uma, what unusual ingredients for a shake- kudos for coming up with a very original and healthy recipe! Uma, I'm seeing this milkshake now, and feeling like drinking it:) I absolutely love them. Indeed very healthy!